Vietnam Travel Blog » Unlabelled » How Can You Afford to Travel After College? 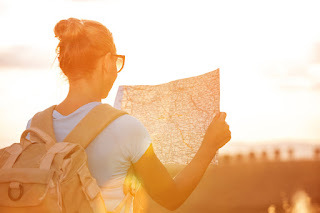 How Can You Afford to Travel After College? If you decided to behave responsibly and plan for your future by entering college after high school, you may have missed out on a few life experiences along the way. While you were busy earning NEC's masters in project management online, your friends may have been using their money to see the world instead of putting every penny into their education. Now that you've completed your education and earned your diploma from Boston College or Stanford University, you might be keen to take a break and fulfill your dreams of traveling the globe before you tie yourself to a career, a mortgage, a family, and so on. The only problem is that your college experience has left you devoid of funds (not to mention facing down the barrel of student loan debt, most likely). Can you even afford to travel after college? How can you scrape together the funds to see new places, meet new people, and experience new cultures? You have the time now that you're out of school, but how can you make this activity affordable? Here are a few strategies to try. If a lack of funding is holding you back from traveling after college, the simple solution is to earn money while you travel. Okay, so it's not really that simple, but there's no reason not to consider applying for jobs in other countries as a way to not only travel, but to spend some time getting to know your way around a new city in another country. You'll have to figure out getting a travel Visa and potentially gaining the sponsorship of a company willing to hire you prior to making your move, but you're not the first to seek such opportunities and there are resources to help you meet necessary requirements to take a job overseas. You might not be willing to commit to several months or years at a time in another country for a dedicated job. However, there are definitely domestic positions that will allow you the chance to travel to foreign offices, overseas conferences, and business dealings in other countries. Companies are often attracted to candidates that are not only willing, but excited to travel. Employees that have obligations to families may not be as keen to travel, so candidates like recent graduates that are looking for jobs involving travel may be more suitable than other candidates for certain positions. If you're having trouble nailing down a work Visa or finding a suitable job that offers travel opportunities, you should know that you don't necessarily have to get paid to make travel affordable. There are plenty of organizations that can help you to travel after college if you simply volunteer, and in some cases pay a small registration fee. All you have to do is seek out the organizations that best align with the education and skills you have to offer, the causes you feel passionate about, and your personal goals in terms of the services you want to offer and the areas you want to visit.